Six years ago at KJS, there was an orchestra of approximately 20 children and a school choir. On Friday night, we witnessed the culmination of five years of passion, determination and hard work on behalf of the music team, where nearly 300 children showcased their AAROW’s of Success, especially Achievement (practice, practice, practice, learn from mistakes!) Agency (make the choice to learn through the arts- although some are told too!) Wellbeing (music, especially signing but also listening and playing releases endorphins in the brain that stimulate wellbeing). This week we would like to thank Mr. Davenport and his team for their dedication and passion that has transformed KJS music. Mr. Davenport will leave KJS at the end of this academic year. His successor has a powerful legacy to build on and to take KJS music and performing arts to the next level. Thank you for your support for World Autism Day yesterday. We received a total of HKD18,850.70 that will support another wheelchair accessible bus for JCSR School. Your support enables your child as an internationally minded student who is respectful for others no matter their ability, talents or needs. Our school was proud to be part of an initiative that supports inclusive practice and also supports students in our own school. 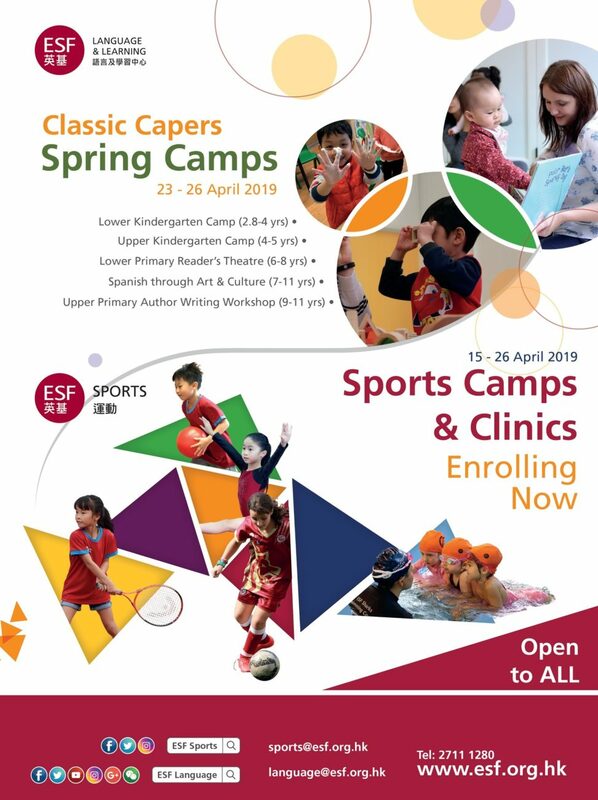 ESF as an organisation supports inclusion for all students and the action seen across the foundation yesterday affirms we are part of a respectful, caring and inclusive family. Have a special weekend, as we as a community, celebrate Ching Ming Festival and take the time and pause to pay respect to those loved ones and ancestors who have passed. Our children’s awareness of and participation in this festival broadens their sense of family and community and their respect for others and the environment. This is also a special time for families to celebrate life and simply take some time together as a family. 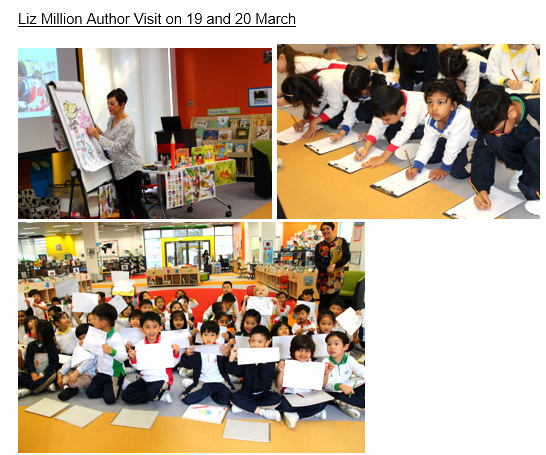 Last week, for two days, KJS students learned how to draw with UK’s celebrated children’s author and illustrator, Liz Million. Liz was funny and engaging while she shared her wonderful journey on becoming an author and illustrator. The highlight during the sessions were Liz’s step-by-step instructions on how to draw different caricatures. 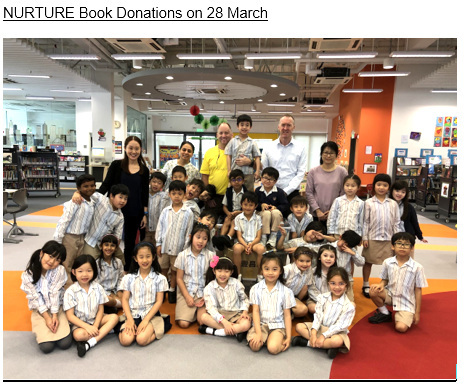 Thank you KJS School community for supporting our latest book drive to collect books to donate to rebuild school libraries in the Philippines affected by Typhoon Mangkhut. Through your help last year, we donated 1,800 books, 800 textbooks and 300 teacher manuals and rebuilt 5 libraries over Christmas. Hoping our latest donation of 18 boxes of books will help rebuild more. Thank you, everyone, for supporting the Library’s initiative to redesign the library. 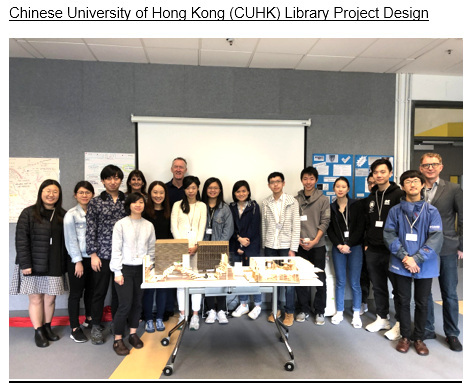 On 13 March, four teams from the Chinese University of Hong Kong School of Architecture came to present their redesign proposals for the interior of our library. 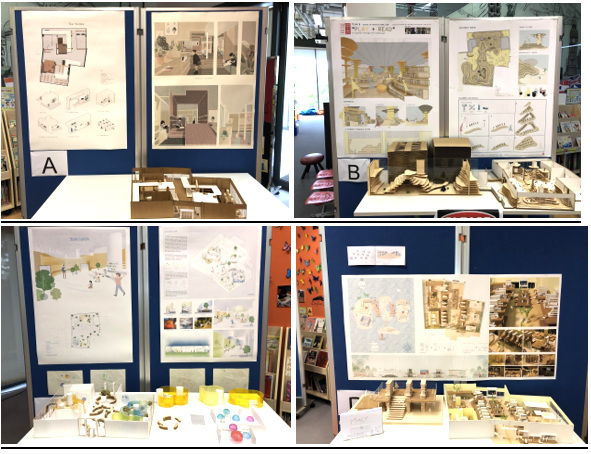 The presentations were recorded, links to the videos of this were available for the school community to watch, and online voting was available. 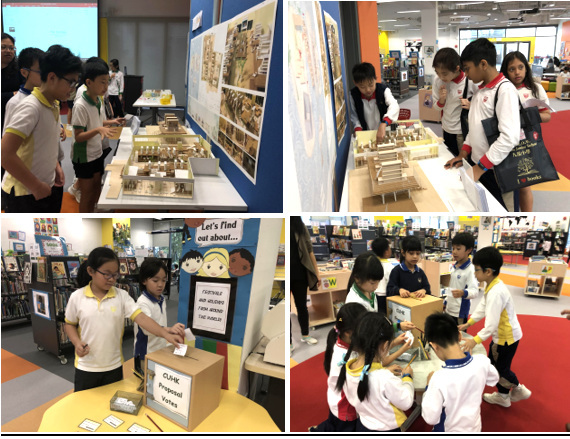 For students, Ms. Lau presented all four presentations during library class and students voted through paper and online ballots. We are happy to announce that after two weeks of voting, Team B’s theme of Play & Read was selected. We are now planning for the next phase to have a prototype made and creating a timetable for the implementation. A reminder that ALL students must purchase a library book bag by Friday 12 April. Book bags are on sale at the PTA office for $60/each. After Easter break, students without a book bag will not be allowed to borrow books. We’re happy to report that since the use of the book bags, the Library has found a lower level of lost and damaged books. Thank you for your wonderful support. We had a great turnout at our meeting yesterday. 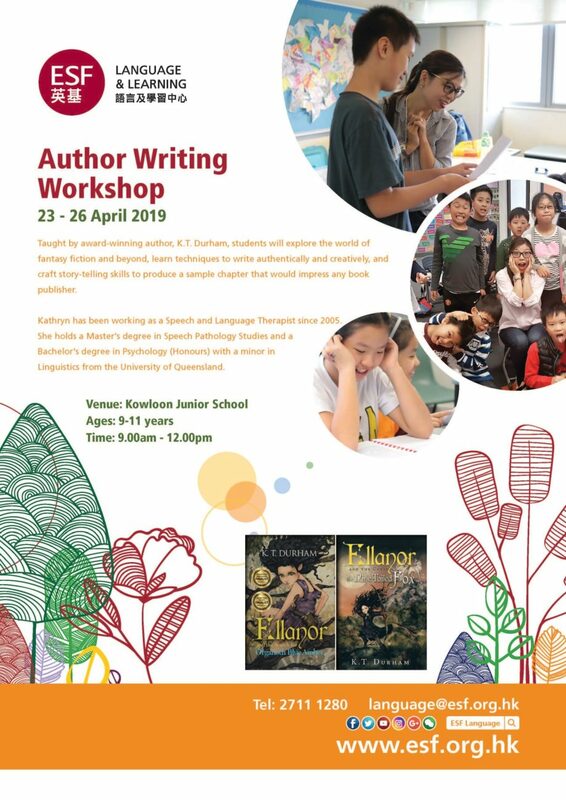 Thank you to all the parents and teachers who attended. Attending these meetings is a great way to stay connected and updated with what’s going on at school, and to get more information about the duties and running of the PTA. It also provides a platform where parents can share their opinions about PTA events. After all, everything we do is for the benefit of the school and the children. Our next meeting will be on Tuesday 14 May 2019. We look forward to seeing all our Class Parent Representatives as well as our Executive Committee there. We are happy to announce that we have raised over $190,000 in raffle sales. The exact figure will be released after all auditing processes are completed. This entire amount will be given to the school in June for investment in hands-on sustainable learning resources for the children at school. 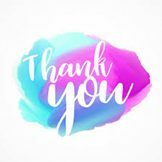 Thank you to all the parents, children and teachers for their dedication and hard work in helping us host a successful fair and getting excellent raffle sales. 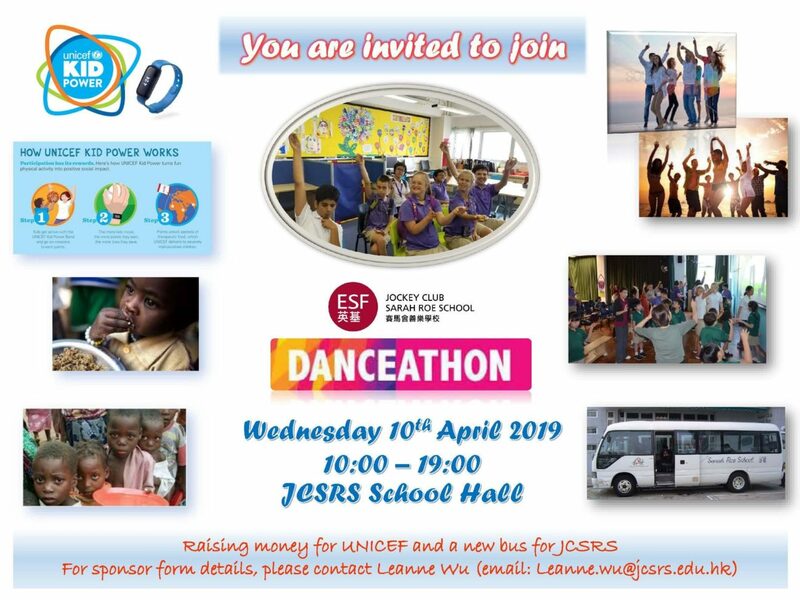 The Disco has moved from 11 April 2019 to 13 June 2019. Kindly mark your diaries. Details will be released after the Easter break. 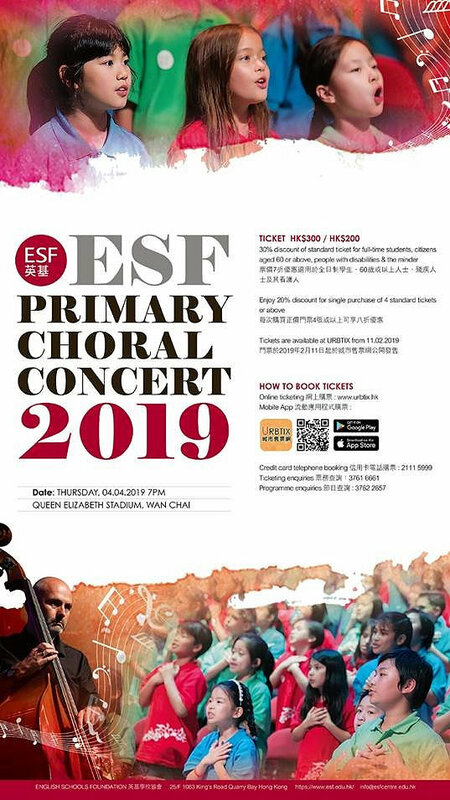 If you had previously purchased any tickets, please bring these tickets in person or fill out this form (click here ) and send your tickets with your child to school. We will issue a full cash refund before the end of next week. Our popular Bingo Night will return on Friday 10 May 2019. More details will be given out soon.